Students love to work in groups and every teacher knows this fact by heart. Group work has several pedagogical pluses that includes developing collaborative and co-operative skills, enhancing social skills and interactions, promoting critical thinking skills, and nurturing a learning environment of trust and support. Now with the web 2.0 technologies, the potential of group work is even bigger. Students can create study groups online and learn collaboratively with others regardless of their geographical locations. Below are some of the best web tools students can use to create online study groups. Examtime is a platform that allows you to create, share and discover resources, build mind maps, flashcards, quizzes and notes for free. .Examtime also has a feature called "groups" which enables students to create study groups. Study groups are a good place for teachers and students to share learning materials and study resources. Think binder is another platform where students can create and host their study groups. Study groups in Think binder is a space where students can share videos, pictures, and links.They can also collaborate with their peers through text and video chat, or use the collaborative whiteboard to work on problems. The social platform Google+ has some excellent integrated tools that students can draw on to study collaboratively. Two of these tools are Circles and Hangout. The Circles feature allows users to create group of contacts with whom they can easily converse and share materials. 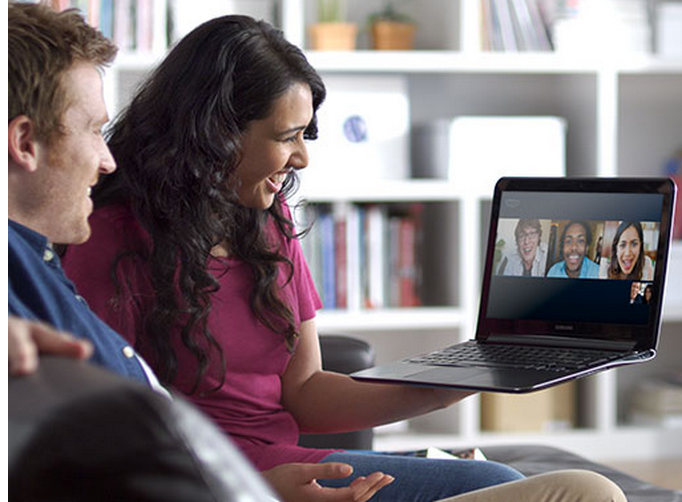 Google Hangout allows you to hold video conferences with a limited group of people. The great thing I like about Google Hangout is the things you can do while using it. You can for instance share your screen, collaborate on a Google Doc or even use a collaborative whiteboard. Hangouts can be recorded and streamed live on YouTube. A few weeks ago Skype made group calling free ( used to cost $9.99 a month). Students can use this functionality to organize study groups, collaborate synchronously and also record their video sessions and share them with other peers. Open Study provides students with a place where they can create their own study groups or join study groups created by others. Open Study is ideal for sharing and recording study notes and for synchronous collaboration. Wikis are also good places for students to create their study groups. The different editing and collaborative features wikis provide are good for enhancing group work. There are several wiki platform that students can use most popular among them are Wikispaces and PBworks. Google Docs is a wonderful web tool ideal for working on writing projects. It provides a host of awesome features that facilitates collaboration and group work such as real time peer editing, tracking editing history, text and audio comments and many more.